Experimental composer John Cage made an extraordinary mark on 20th-century music, contributing new ideas to musical conception and performance that continue to ripple through culture today. An early pioneer of sampling, Cage also blurred the lines between what were traditionally considered "musical" and "non-musical" sources, and introduced elements of chance and unpredictability to the compositional process. It's in this spirit that Puremagnetik founder and sound designer Micah Frank created two new Live Packs. 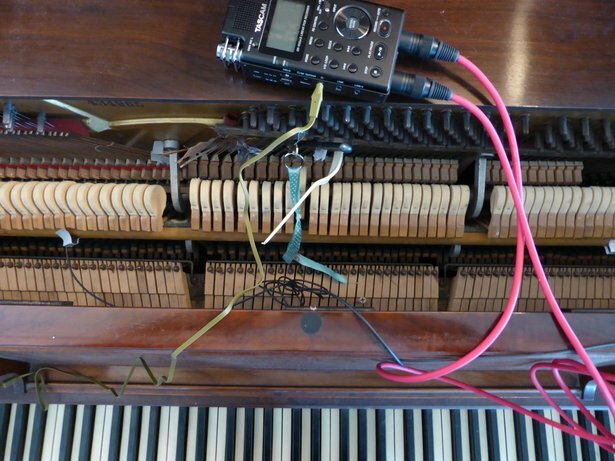 Based on samples of an amplified cactus and a prepared piano, the instruments trace their lineage directly to similar experiments conducted by Cage. We spoke to Micah about Cage's influence, plucking a cactus, and inserting objects into a hotel piano. Listen to "Hotel Prepared Piano" below, and read on to learn more. How has Cage influenced how you see sampling? Cage never delineated between music and sound, objects and instruments. Culturally, we have cordoned off these areas in our mind that say "This is were music goes", "this is where other sound goes". The implications are very subtle but I think it drastically limits the breadth of what we create and listen to. Cage used musical instruments properly and improperly. He also used conch shells, cacti, turntables and radios. I guess it didn't matter to him as long it expressed something meaningful. There's an interesting interview I saw some years ago where Cage suddenly drifts away to listen to NYC traffic outside his room. You can see that he's really listening to it - it's not just noise. When it comes to sampling I tend to approach things in a similar way. There is no barrier where I say "this is an instrument". I record instruments - but also appliances, vegetation, ambient noise and digital artifacts. The other day I was repairing my Rhodes. When the solder iron accidentally hit the pickups it made some outlandish sounds that I recorded and hope to soon provide in a usable format. 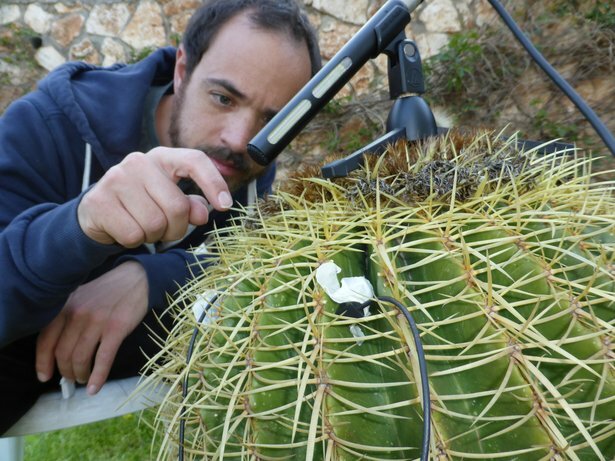 How would you incorporate the Amplified Cactus instrument into your music? It can certainly be used as a standard percussion instrument. Many of the quills have tonal characteristics to them so they can also be used melodically. The plucks are all programmed with note-off sounds as I hoped to give the sensation of really playing the cactus. I could also see the "scraping" sounds being used for scifi or horror work - aliens eating larvae or that kind of thing. How did you choose the materials used for preparing the piano? The materials were all selected out of proximity and time constraints. I set in to record the piano conventionally - as a multisampled upright. I set everything up for recording and then realized that the highway about 5km away was too noisy to record things properly. I was in a hotel on a big cliff and all the noise from everywhere was seeping in. So I got depressed for about 5 minutes, then decided to make use of the limitations. I used whatever I could find around the hotel room to prepare the piano - seashells, plastic forks, paper clips, twigs. Although this ad-hoc one is fun and interesting I don't want to downplay the real art that goes into a properly prepared piano.